Checking the router’s IP Address is the first step in accessing your router's web-based setup page. This will also determine if your router and computer are communicating with each other. 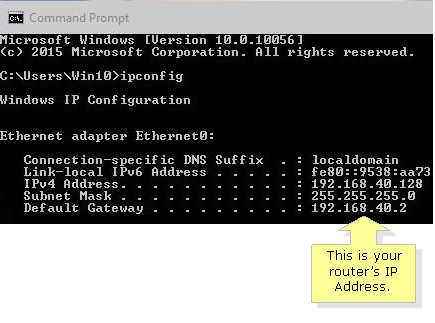 This article will guide you on how to check your router’s IP Address using a computer with Windows operating systems. 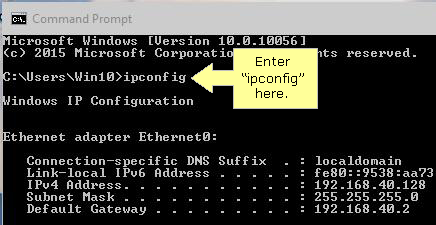 On the Command Prompt window, enter “ipconfig” and press the [Enter]. 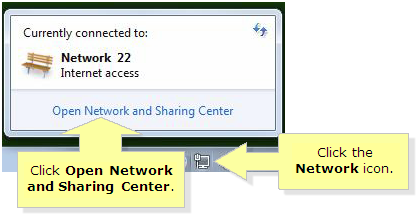 The numbers indicated on the Default Gateway section is your router’s IP Address. If you want to access the router's web-based setup page, enter the default gateway number in the URL or Address bar of your web browser. 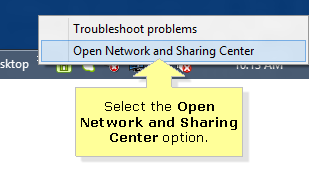 Right-click the Network Connection icon in the lower right corner then select Open Network and Sharing Center. 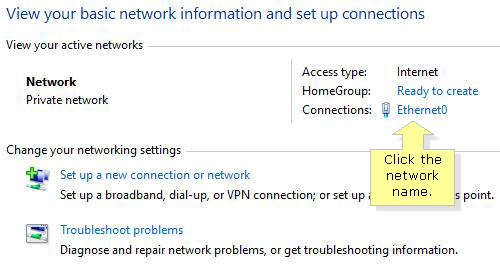 Click the Details... button and look for the IPv4 Default Gateway on the Network Connection Details window. 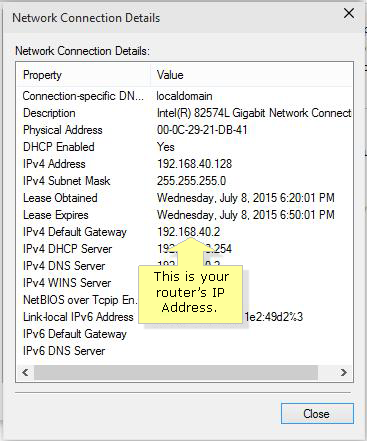 The numbers indicated on the IPv4 Default Gateway section is your router’s IP Address. 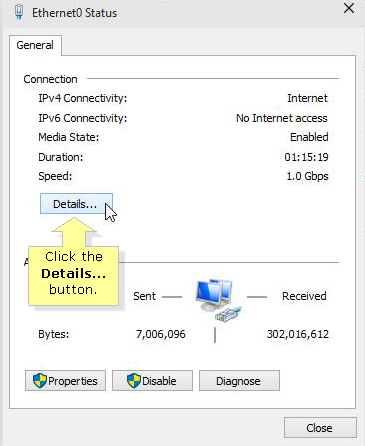 Click the Details… button and look for the IPv4 Default Gateway on the Network Connection Details window. On your keyboard, press and hold the Windows key+R. 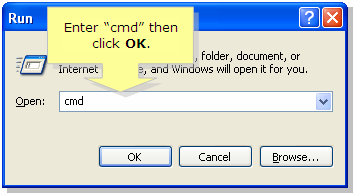 On the Open field, enter “cmd” and press OK.
Click the Details… button and look for the IPv4 Default Gateway on the Network Connection Details.